LinkedIn has just unveiled the first major new feature to be added to its platform since it was acquired by Microsoft in June. The professional social network now brings short videos to your feed, featuring influencers you follow. It seems like a smart move by LinkedIn to get more people to rely on their feeds for news and user-submitted content. The 30-second format is easy to consume and share, and will likely garner more followers for the influencers who regularly publish videos. And of course, if it catches on, LinkedIn will be able to monetize these clips by introducing ads in them. 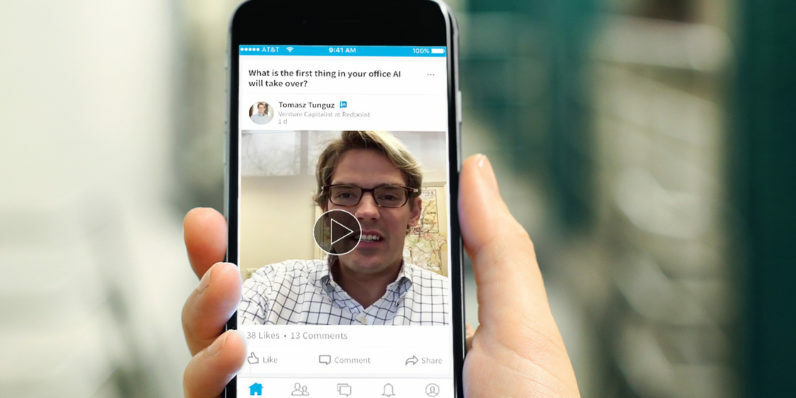 Product manager Jasper Sherman-Presser told TechCrunch that LinkedIn will eventually open up video creation to more users at some point in the future, as it has found this strategy of enabling a feature for influencers first has worked well in the past. Given that just about every other major social platform has already doubled down on video, it’s about time LinkedIn got in the game. With its focus on building professional networks and a large user base of about 433 million, LinkedIn could be a place for unique career- and productivity-focused content that you may not find elsewhere.